While I would like to start this piece by saying that the old Plaza Salcedo in Vigan City is one of my favorite evening places to hang and practice the art of doing nothing, I cannot really say so. I still prefer the cobbled street of Calle Crisologo. The old plaza for me seemed a bit too dull compared to the famous calle. 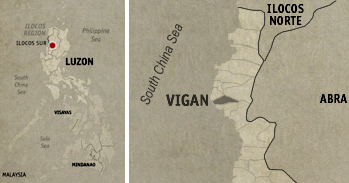 But that all changed during this last visit to Vigan. Still stuffing my mouth full with home-made empanadas from Casa Caridad, we were excitedly ushered out of the house and into the plaza. We’re gonna watch a dancing fountain show, they said. A dancing what? 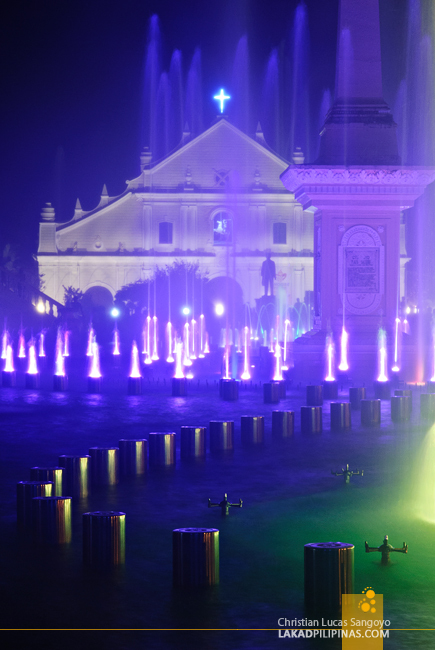 I never knew of a fountain show in Vigan from my previous visits. 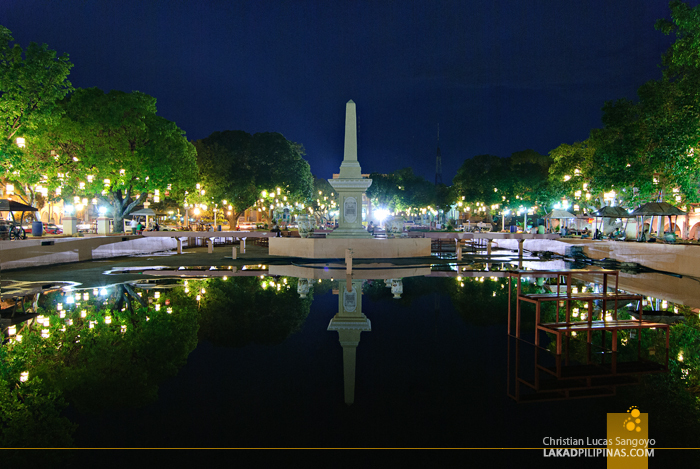 It turns out that the square sandwiched between the Vigan Cathedral and the Provincial Capitol, Plaza Salcedo, has been recently renovated and has now been installed with state-of-the-art fountain thingamajigs. The plaza looked almost the same as before, the obelisk at its center still there, except now, the reflecting pool are replete with fountain tubes. I still recall how the plaza looked before; there was that almost-always-never-full reflecting pool, a legacy from the plaza’s history of being fire-prone—hence the addition of the water feature. It was already beautiful back then, well, in its own old-town park way, but now I get to see it transform into something more modern. 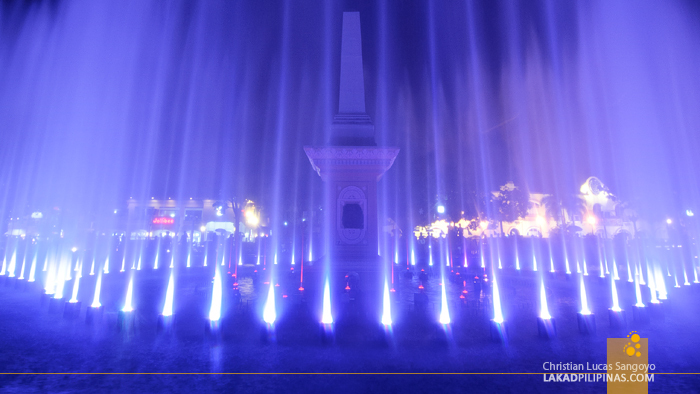 The renovation of the square and the installation of the Dancing Fountain Show were spearheaded by our host, Bonito Singson. Korean fountain-heads designed and installed the necessary tubes and what-nots to make everything work as planned. And judging from what I saw, they did an excellent job. I was really not expecting to be wowed by the show, having seen a few of these at Malaysia’s KL Tower and Singapore’s Marina Bay. 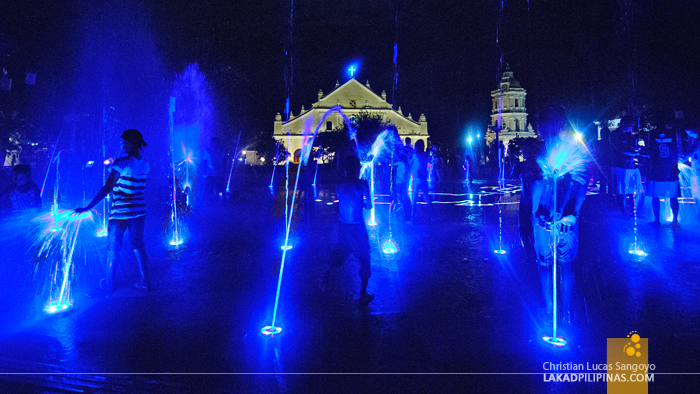 But man, Vigan’s Dancing Fountain Show is something else. Throughout the show, lasers and lights synched to popular music anthems illuminate the fountains jetting all through the plaza. 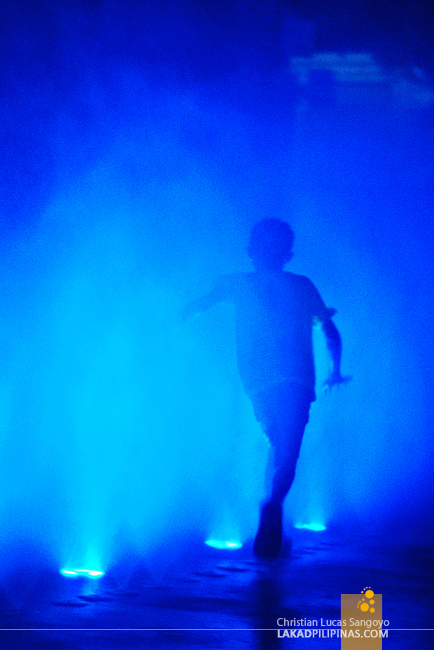 Its appeal might be due to the proximity of the audience to the fountain, but it is definitely a beautiful show. So beautiful in fact that someone has actually proposed to his girlfriend over it. Another thing that I really liked about the show is the open fountain found on one end of Plaza Salcedo. 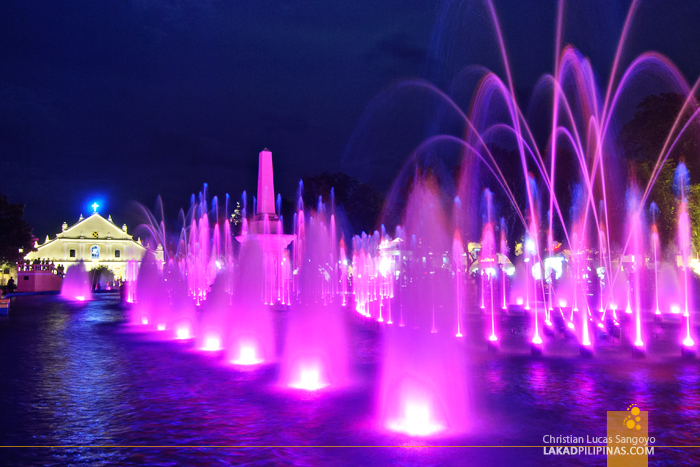 While the show is ongoing, a square imprinted with a lighted map of the Philippines is also sprouting forth various fountain jets while children play and bath along the area. 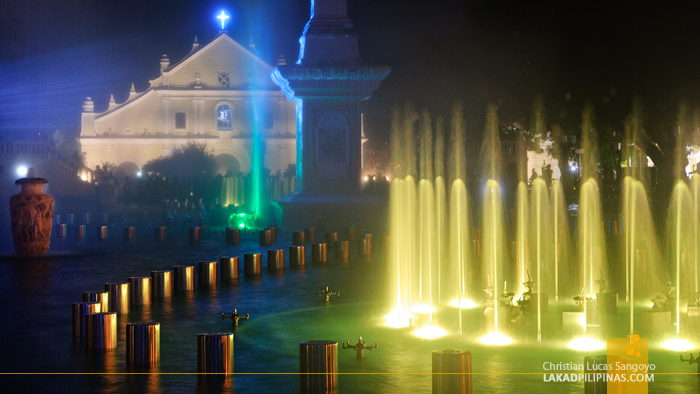 I can just imagine the horror every mothers in Vigan City must have felt when the fountain opened a year ago, their kids always going home soaking wet after every evening. Basa ka na naman! Lol. But kidding aside, the reception of Bigueños over the opening of the dancing fountain show was quite overwhelming. A local blogger, E, actually saw how the locals flocked the square to watch its opening. The area around Plaza Salcedo was so full; you’d think you’re in an Eraserheads reunion concert. Address: Plaza Salcedo, Quezon Ave. cor. Gorg pics! Im sooo jealous..